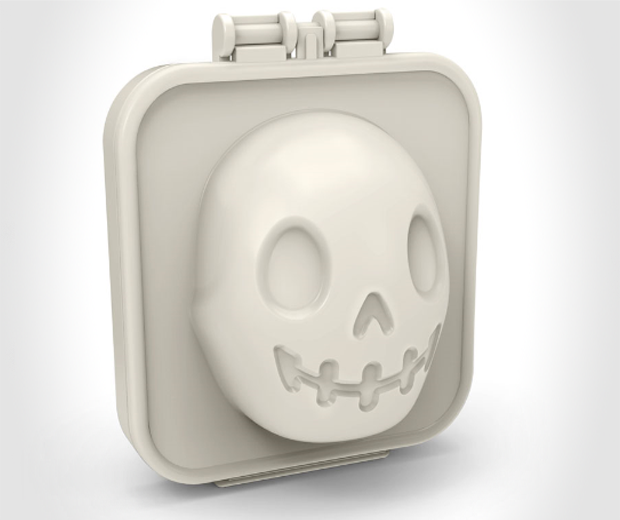 Skulls are for life, not just for Halloween. 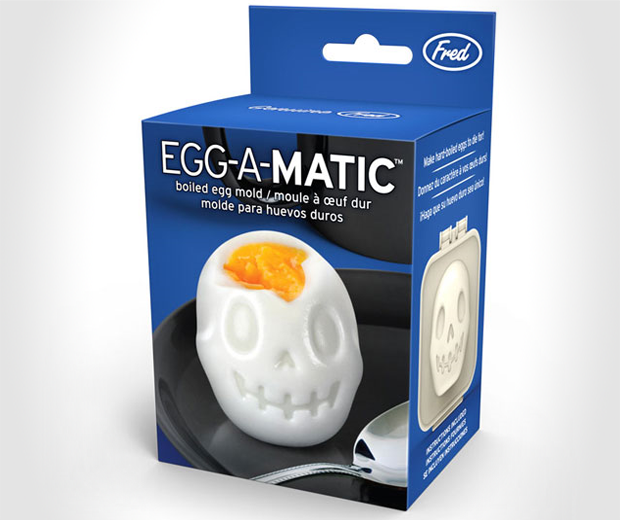 Whether you’re a life-long goth or you just have a weird fixation on the image of a beautiful human brain cage, you’ll need this Egg-A-Matic Skull Egg Mold to reshape your chicken periods into a suitably morbid form. 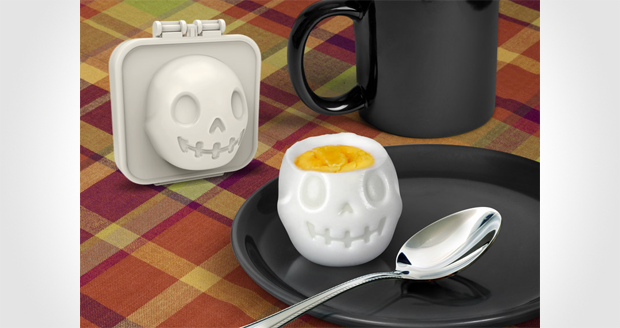 All you have to do is place an already hard-boiled egg into the mold, leave it for a bit and out comes a skull shaped egg. Unless you cocked it up, in which case it’ll end up looking more like the elephant man’s skull. Made of plastic and entirely food safe. The site says egg not included. Which I think is insulting to your intelligence. Show them how clever you are and buy nine.